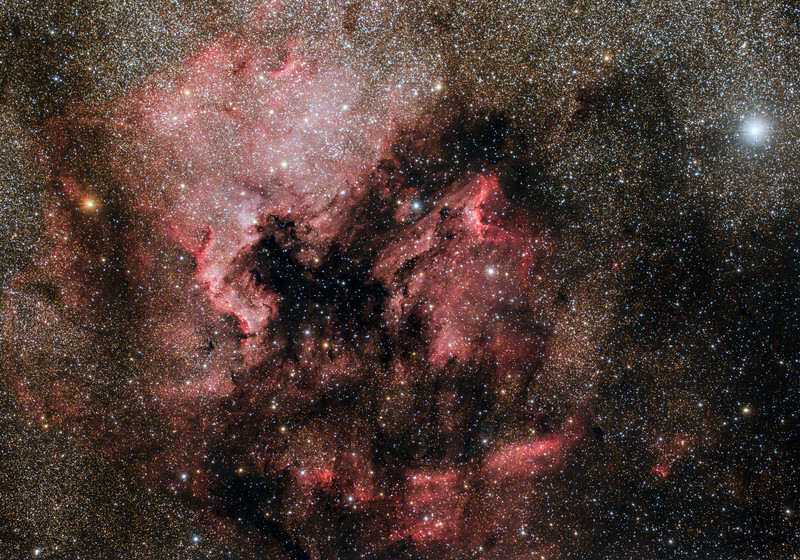 Bright star Deneb shines on the hydrogen rich Pelican and North American nebula. Canon 6d modified and Teleskop Services 71 telescope @f5. 21 x 10m frames at 1600ISO (3.5 hours exposure). Taken by Lynn Hilborn Sept 14,15,2015 at WhistleStop Obs,Grafton,Ontario.